"The most transformational advice I'm currently aware of is "Get out of your head and into your heart." In Part 1 of this months edition of Enlightened Journey we covered A LOT about your potential and capabilities to be, do and have what you choose in life. And as I hope you gathered, that means "WHATEVER" you choose that's aligned and harmonized with "heartfelt desires" as well as the polar opposite. I also made mention that I can and do assist those with the sincere desire to make the necessary "internal shifts" which enable them to be, do and have more of whatever it might be that they aspire to create for themselves. Due to the number of people globally who join the community each month, and the various levels of understanding that each possess in relation to being, doing and having more as well as what's necessary to make it real and tangible for themselves, I think it's important to preface what we'll be covering today with a clarification. Those who are familiar with and have followed my work for any time at all, are already well aware of what I'll be clarifying, but if you're new to the community and perhaps even new to this form of information, you may not be. First and foremost, one of the main keys to "allowing" what I teach to work for you requires coming to the place of understanding the significance and importance of "Knowing Yourself." Not the you that most "perceive" themselves as being but the "real you." The you that enables, sustains, drives and maintains the "physical meat suit you." I suppose you could refer to this aspect of you as the "life force" that enables you to function in a physical, mental and emotional capacity. I mean let's face it...you don't have to plug yourself into a wall socket and drag around a 3, 4 or 5 hundred foot extension cord to operate and function in a physical capacity. But there's SOMETHING that powers the physical machine aspects of you. Have you ever given any thought...I mean REALLY given some conscious and focused thought as to what that is? It has many labels but it boils down to one and the same thing...regardless. I use the term "life force" simply because it's something that everyone can relate to. You might call it energy, or spirit, or love, or higher consciousness, or any other infinite number of labels. It's the untainted, non-programmed aspect of you that doesn't "allow" indoctrination, appearances or perceptions to sway it. It's the core essence of you that knows the way and leads you to the fulfillment of heartfelt hopes, dreams, desires and aspirations when you choose to allow it to. It's the aspect of you that speaks to you through your heart and always directs, leads you toward and harmonizes with "Love." It's also the aspect of you that enables you to choose your own way and allows whatever you choose to be ok, fully grasping the fact that there is no right or wrong or good or bad or anything else but "love" that enables you to choose how you experience life. And it's the aspect of you that, should you ever decide it's time to become quiet...to become still and choose to tune into and listen to it's direction, enables and allows you to see...clearly see that you are not your mind or your body, but that these are merely tools that enable you to experience "physical life" in whatever way you choose. The physical aspect of life that merges the very aspects of you that make YOU the whole YOU in physical form...mind, body and spirit...where polarity becomes and is a certain and inescapable reality. All that's necessary to experience the kind and quality of life that aligns and harmonizes with your individually chosen hopes, dreams and desires is to re-align and harmonize with this aspect of you. It's only necessary to tune in if you will and follow it's lead. But it's also that aspect of you that "allows" you to choose and utilize your mind and body as you choose. It enables and "allows" you to engage yourself in this life of physical polarity in such a way that enables you to choose "Love as your predominant way of "being" or the polar opposite which is fear. Harmonizing mind, body and spirit in a conscious and intentional way...focused on and moving toward "love"...is what enables you to experience the most "pleasurable and desirable" human experience possible. From a more practical and down to earth perspective as it relates to the "physical you" and getting the desires that the physical you desires to experience, it's simply a matter of mastering your ability to be, do and have more of a tangible nature. But BEing is the key. It's the place where it all starts. You could call this way of doing things "life mastery." But to achieve "life mastery", it's necessary to "do" something else first. Something that many choose NOT to do for any number of reasons. It's called "self mastery." I know based on connecting with so many people over the years that "most" people "perceive" self mastery as being hard, complex and in some cases impossible. But it's far more simple and less complex than most understand. The fact of the matter is, self mastery becomes real and possible as the result of achieving mental and emotional mastery. Achieving mental and emotional mastery depends on nothing more than learning to master your mind rather than "allowing" your mind to be your master. 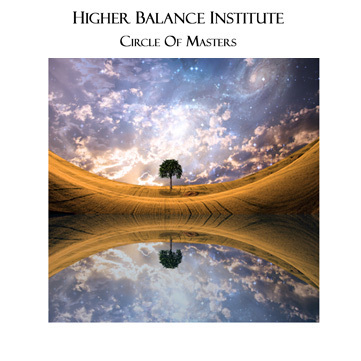 A key area to understand and DO if you truly do expect to ever achieve "life mastery." And I DO MEAN THE Key. That's what I Love and am quite passionate about "doing." To assist those who are "attracted" to my work with the insight and understanding that enables them to "shift" their mental and emotional "reactions" into powerfully effectively "responses" which "allow" them to get what they want. I won't be so bold as to "claim" that I or anyone else can provide you with what you want, because the Higher Truth is nobody can. Only you can do that for yourself. It’s a shift that only you can make. It's also not necessary to do anything at all. The fact of the matter is, regardless of what you might be experiencing in your life currently, nothing's broken. There's nothing "wrong." Everything is as it should be and precisely how it's suppose to be. So, in the bigger scheme of things, no "shift" or change is necessary or required at all. Yet making a shift is something that you MUST do and that you MUST make if you're consistently experiencing "less than desired tangible results" and you "truly desire" to experience something different...something greater and more pleasing. One of the main things you can do to achieve "self mastery" is to quit perceiving, judging, blaming, labeling and damning whatever it is that you might currently be experiencing. It's a vital part of achieving "life mastery." It's the very "perceptions" and "judgments" that we choose regarding ourselves, our emotions, our reactions, others, and the events, conditions and circumstances that we experience each day as being wrong or bad or unfair or any other number of "dis-empowering labels and/or choices" that keeps the same "less than desired" experiences a consistent reality in our lives. Self mastery is about "loving unconditionally"...accepting unconditionally and choosing to do things in this way is what creates significant and lasting "desirable" change in your life. I certainly can't make you see how important that is and have no desire to. It's also not my purpose nor my intention to "convince you" that a shift is necessary for you. That's up to you to decide as well. What I can do (and have been doing for many years) is provide insight and guidance that I know based on many years of personal experience, can and will illuminate the pathway which I and many before and since me have walked to create a kind and quality of results...desired tangible results...that far exceed the norm. In Part 1 we referred to these as "uncommon results." In fact, you CAN experience what most choose to label and often “perceive” as being miraculous results and/or quantum leaps. And these miraculous results aren't limited to ANY aspect of life in any way, shape or form with the exception of the limitation that you place on yourself and "allow" to become real and tangible. I've made this months subject matter money, stuff and financial freedom simply because that's what the vast majority of those who I connect and work with have a desire to create more of. Financial freedom, a sense of security and the acquisition of material “stuff” is no different than anything else. As I mentioned in Part 1, in this day and age a lot of people "want" and are seeking financial freedom and security. But not everyone is aware and/or willing to do what’s necessary…what’s “truly” necessary to make those a tangible reality. In fact, it’s safe to say that the vast majority of people in the world “allow” their mindsets and their lives to be controlled by and revolve around what they can see based on what they "have or don't have" currently, rather than seeing beyond the illusion...awakening to what’s truly available to and for them...opening themselves to receive it and "allowing it" to become a part of their lives. In the financial aspect of life specifically, the vast majority “allow” their mental and emotional states to be controlled and determined by the amount of money and “stuff” that they have or don’t have. Those who choose this way of doing things and who "don't have" much, in more cases than not “perceive” that money is in short supply, that attaining sufficient amounts of money requires hard work and struggle, that we simply must DO what we’ve been told and taught is necessary if we “truly expect” to get our small slice of the financial pie so we might experience the “sense of security, peace of mind and happiness” that we’re often told, taught and have come to believe that having “money and stuff” provides. Due to these self limiting unfounded "beliefs" many develop the attitude as well as the mindset that creates more of the same, solidifies the beliefs held and due to this way of "doing things" has many thinking "What's the use?" There is no shortage of ANYTHING in this world whether money or anything else, any more than there is a shortage of oxygen. There’s more than plenty for everyone. There are no money problems but only a lack of understanding due to a limited “awareness” which is without fail reflected in “thinking and perception problems” as it relates to money. The amount of money and stuff available to you, me and everyone else on this planet (and well beyond) is literally Infinite in nature. There is NOTHING…NO THING that cannot be achieved and experienced if you develop the understanding and choose to utilize the “correct method” for conceiving and getting it. And as we touched on in Part 1, that “correct method” begins by choosing to elevate, enhance and align the quality of mind with the unfailing direction of the heart. Depending on where you are currently you may or may not understand the transformational power behind nor the significance of that statement or even "believe it" for that matter. And if you don't, that's certainly "OK" yet it doesn't mean that it's not true. It may very well be "your truth" and because of that, unfold in your life just as you believe it will, yet it's certainly not based on a "Higher Truth." You can study the science behind it or choose to explore the "untainted message" that the masters since antiquity have clearly conveyed. The information and understanding exists and always has. It's simply a matter of choosing to seek, explore and understand it. 21st century science aligns and harmonizes with what the ancients have always conveyed. Point being...There is an INFINITE supply of EVERYTHING. Within the INFINITE exists everything. There is nothing that the Infinite is not. With that being “true”, if we are in alignment and in the Flow with the Source of everything, (the Infinite) how could money or anything else be a problem and/or in short supply? We all have our individually chosen and unique perspectives about how to do that, whether we can or can't which inevitably determines the kind and quality of our individual results. And the right order that produces the most magnificent and "seemingly miraculous" results is BE, DO and HAVE. More specifically it requires "consciously" being and doing which automatically determines what we have...both quality AND quantity. Most of us are taught and as a result are motivated by the desire for success. The word success means different things to different people. Think about it. What does success mean to you? What is it that you “feel and think” you need to be successful? Regardless of your individual answer, it can and often does mean something totally different to another. So what is success really? Success is a mindset. It’s an individually held “perception.” It’s nothing more or less than a concept…an individual concept that means different things to different people. At the core it’s a quality of mind. It’s a perception that varies from person to person. In essence, it’s an illusion, the quality of which is determined by the quality of consciousness that you choose to hold…more specifically the “perceptions” that you choose with regard to it. Your “perceptions” determine the kind and quality of your individual “story” regarding the attainment or the lack of something desired. This individual quality of consciousness that we choose determines our “stories” regarding success, money, ourselves, others and on a larger scale life itself. The ultra-wealthy and successful have a story that aligns and harmonizes with the attainment of wealth and success. The poor and impoverished have a “story” that aligns and harmonizes with being “poor and impoverished.” Those who struggle to survive and/or “get by” have a story that aligns and harmonizes with “struggling and getting by.” Those who do what they dislike or hate “doing” have a story that keeps them “seemingly trapped” doing what they dislike and hate doing and on and on and on. That’s why the rich get richer and the poor get poorer. Not because they’re “destined” to be that way but rather because of how they choose to “perceive” whatever it might be that they’re experiencing and the “stories” they choose to cling to and run over and over in their minds. Their focus on and perception of the tangible results they're "seeing" creates and sustains the quality of the result. That’s why those who HAVE will receive more and those who have “little”, what they have will be taken from them. Not because it’s designed to be that way or because of anything else rather than the focus, “perception” and “belief they hold with regard to what they HAVE or DON”T HAVE. What they “believe” and how they “perceive” what they have creates the fact. You naturally have the gift to change your perspective on how you view yourself and the world around you. And once you do so...should you "choose to"...and you begin "doing things" consciously and intentionally, it will open up your eyes to the infinite potential that surrounds you. You’ll discover vast new horizons that really aren’t “new” at all but rather were only limited…that you were “blinded to” due to the limited perspectives that so many choose. We all HAVE the very same things available to us. How we “perceive” and judge what’s “truly available” to us is more times than not judged and “perceived” as being true based on what we have in “tangible form” which is what determines what we’ll have or NOT HAVE in tangible form at some point in the future. What we judge and “perceive” as being real and true now without fail determines what we’ll have or not have at some point in the future. To receive more we only have to stop judging, enhance our beliefs and perceptions about what we have currently, develop the ability to express “heartfelt gratitude” for those things which enhances our “perceptions” regarding their “value” which precipitates “change” that aligns and harmonizes with our choice. The Master of the Christian faith made it quite clear and provided profound insight and wisdom that enables ANYONE who chooses to heed and utilize this “advice” to experience a kind and quality of life that aligns and harmonizes perfectly and precisely with “desired outcomes. If I'm "judging" a certain event, condition and/or circumstance as "bad", horrific, useless, hopeless what am I "believing?" When you choose to become “conscious and keenly aware” of the “story” that you consistently “choose” and “allow” to run through your mind, you begin to discover and reveal your chosen judgments and the underlying “beliefs” that without fail make your “chosen story” true. You become keenly aware of the fact that your judgments regarding lack, limitation, discord and the "seemingly unending flow of less than desired outcomes or the polar opposite is in perfect harmony with what you're judging and perceiving as being lack, limitation, discord and disharmony or abundance, plenty and harmony. 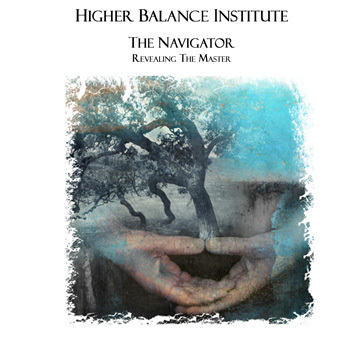 When you see this harmony in action...when you begin to see, understand and realize that your beliefs, perceptions and the "judgments" that follow are the very ways of "being" that are molding and shaping EVERY aspect of your life, you CAN if you choose, make the shift...adopt, tune into and utilize a "Higher Truth" and experience the tangible results that follow. You begin to see, understand, become aware and conscious of how “truly powerful and creative” you are but may have been previously utilizing in an “unconscious manner” as so many do. And you get to be right. Choose abundance and prosperity or choose lack, limitation, discord and/or common results and the Source always says yes. I can’t emphasize this enough. There is NO LIMITATION as to what there is to receive. Only the limitation or the Infinite supply that YOU choose for yourself. It doesn't matter how much or how little you have currently. What there is to receive is literally “Infinite” in nature. What we receive is based on and determined by what we choose to believe we will receive which determines what we “focus” on. Within the Infinite exists every possible outcome whether “good or bad.” We judge that for ourselves. How and what we "perceive" is what determines "good or bad." But the process is always perfect and precise in what is delivered. Creation is ALWAYS successful. Without a "story" to sabotage success, we are always successful wherever we are. We only have to recognize the fact that we were each freely provided the “gift” to mold, shape and create our lives as we choose. We only have to understand, internalize and utilize the “gift” freely provided to us...that we were “Created in the image and likeness” of Source and that Source provided us with the gift to choose whether we’ll continue to “unconsciously create” a kind and quality of life based on appearances and “less than true” beliefs or to "consciously conceive", believe and as a result "consciously" mold and shape a kind and quality of “life by design” that aligns and harmonizes with our “heartfelt” hopes dreams and desires. The only thing that keeps you from being, doing and having whatever you desire and choose in life is your individual story. Our individual stories, without fail determine our realities and the unerring and unfailing flow of nature always provides it. Let’s relate it to money, financial freedom and material “stuff” specifically. I have never seen a “perceived” money problem that didn’t turn out to be a thinking problem. It’s not limited to money yet money is a highly emotional topic of discussion and what so many who have “perceived” money problems, “allow” to stress them out. They look at their bank accounts, the stack of bills piling up, the amount of money they currently make and wonder what in the “hell” they’re going to do. Their stress is precipitated by consistent habitual thoughts of fear, doubt and worry, keeping them focused on the not having…the lack of…the fear of…how little there is and the story unfolds just as they are choosing for it to. Their stories are molded, shaped and determined by what they “see.” They "do" the polar opposite of what timeless wisdom instructs them NOT to do which is "judge by appearances." The result is ALWAYS without fail aligned and harmonized with the “story” that they themselves choose to focus on and give attention to. Rest assured, whether you are willing to look at and see just how “true” that is…whether you’re currently ready to “believe” and accept it as "your truth" or not, you are writing your own story. Every letter of every word, of every paragraph, of every chapter. If you “don’t like” the theme or the content of your “book of life”, and the way your current “story” is unfolding, simply make a conscious and intentional “choice” to begin writing another story. But do it a sentence at a time. You can’t rewrite the whole book in a day. Well you can, once you change your mind and make the shift. It’s the changing of your mind and your willingness or unwillingness to do so that determines the “time” necessary to create different results. Start looking at and “seeing” things as they “truly are” rather than the way you have been “judging and perceiving” them to be and the things you’ve been “looking at and seeing” will change. But don’t “allow” yourself to fall into the trap of “believing and perceiving" that money is going to make you happy and fulfilled, because it’s not. Aligning and harmonizing with “Love” is what makes those who are happy and fulfilled, happy and fulfilled. When you align and harmonize with "Love" first, the money, the health, the wholesome fulfilling relationships are "added unto you." When you align and harmonize yourself with Love on ALL levels you get what you Love. Practice and exercise Love at the mental, emotional and physical levels and getting what you Love becomes a way of life. It flows to you. Life becomes "good." Grand in fact. What you Love (desire) is added unto you. Case in point…I used to believe I needed money to be happy. I was raised that way. That’s what my family believed and that’s precisely what they taught me. At one point I believed it. For a number of years, due to many other things I was taught and “believed” about the acquisition of money, I found myself without any. I “chose” this path until I decided that I was tired of walking down it and wouldn’t anymore. I finally decided that I didn’t like the scenery I was “looking at” as I ventured down this path and after having "had enough", I simply made the choice that I was going to change paths. I began “doing” something different. The first change that had to take place was to elevate my beliefs and perceptions regarding money. It was necessary for me to realize that I could have some if I wanted some. I had to make the shift and come to the place that acquiring some of this money was at least "possible" for me. Once I made that "choice", I began exploring and discovering the infinite number of ways there were to make some of this “money” that I once “believed and perceived” was so hard to come by. And I did so at the time, “thinking”, based on what I was taught and “believed” that “getting” enough of this money would make me happy and fulfilled. So I set out to make money so I could be happy. I began DOING something different than I had been doing. And I did very well in a material kind of way. I made a lot of money. I did so because I shifted my focus and “attention” from not having any to “DOING” what it took to make as much as I desired. Guess what? I made a lot of money. I also acquired a lot of stuff. But I discovered something else as a “result of choosing and walking the “money path.”. It didn’t DO what I had been taught and “believed” it would even after having acquired a lot of it. And although I did “get and have some”, I was often worried and stressed out that something terrible might happen and I would lose all my money. In addition, the way I made this money didn’t harmonize with what I “truly desired” for myself. I thought it was money that I wanted but it wasn't. It was freedom that I was looking for. What I was doing to make this money didn't and couldn't provide that. It didn't align and harmonize with my core values. In other words I didn’t love or even like what I did to make money yet I still made a lot of it. I also discovered that in order to make the amount of money in the way I did which was focused on primarily a “physical approach” to DOING things, that I had very little time or energy to enjoy the money I made. I was “forced” to DO things in such a way that conflicted with what I “truly valued” and “wanted” so badly which was to be free…”truly free” to live life on my own terms rather than the terms of those who paid me all this money. And I might add that their terms kinda conflicted with mine. I often found myself physically, emotionally and mentally exhausted based on my “chosen way” of DOING things. The way I was “choosing” to do things made me a slave to money. Money and what I did to make it became my master. Having money won’t make you happy, fulfilled or “free” regardless of how much money you have. Happiness is experienced when “peace of mind” and real freedom is achieved. Real Freedom follows "peace of mind." It happens when "peace of mind" is achieved. But Real Freedom ALWAYS follows "peace of mind." Most people "believe" that they'll have "peace of mind" once they "get the stuff" that they "believe" will set them free. It's a flawed and backwards approach. It's a HAVE, DO, BE approach that can never enable "peace of mind" to become real and tangible. Peace of mind is a way of BEING which enables you to DO what's necessary to HAVE your heartfelt desires fulfilled. Money in and of itself can’t provide that. Now…doing what you “love to do” and having all the money you desire “flowing to you” as a result of assisting others to make their “heartfelt” hopes, dreams and desires “real and tangible” can and most certainly DOES make harmony, fulfillment, “peace of mind” and Real Freedom a very real and tangible thing for you. In essence, as I mentioned a number of times in Part 1, it’s a conscious choice to harmonize with Love on all levels. Choosing to DO things in this way also enables you to create FAR GREATER results in far less TIME than most “perceive” as being possible, rational, feasible or realistic, enabling Real Freedom and Real Success to become a way of life. A way of life that most "perceive" as being hard or impossible to create and experience. Abundance and Happiness becomes real and tangible. I also encounter a lot of people who "claim" that money isn't important which leads into another important point. Don’t misunderstand or downplay the importance of money and/or financial freedom. It’s a very important and necessary part of life. It’s the current structure...the system of exchange that enables individuals and on a broader range, societies to exist and thrive on a global scale. Granted, money ISN'T important if you have plenty, but it's MOST CERTAINLY important if you don't. 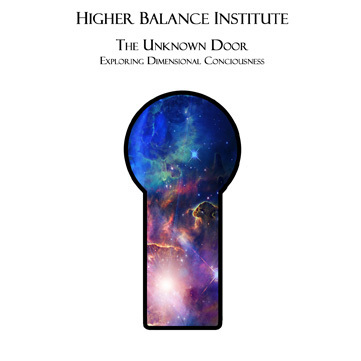 Although the "Higher Truth" is, you already have access to all you could ever need. It's simply a matter of opening yourself to it and learning to accept what's already yours. Money can and does bring you one step closer to experiencing a fulfilling and harmonious quality of life in a "tangible" kind of way. It is a vitally important aspect of life, yet it CAN”T in and of itself provide happiness, harmony and fulfillment. You can, as I proved to myself, have an abundance of money but still NOT be happy. But being happy first…expressing yourself through passion and purpose regardless of what you might be doing, “seeing” and experiencing currently, combined with assisting others to get what they want and love, can and always does enable and empower those who choose that way of “being” to receive all the money (or anything else for that matter) that their hearts desire. But that doesn't make money "unimportant." It is. Aligning and harmonizing with passion and purpose in such a way that serves enough others is the ONLY way to experience harmony, fulfillment and “peace of mind” which is ALWAYS followed by time freedom and monetary freedom which collectively eliminates the “need” to experience fear, doubt, worry, anxiety and physical, emotional and mental exhaustion as a result of DOING things in the way that most are taught and “believe” they need to be done. Real Freedom becomes a way of life and you begin to see and experience for yourself that Real Harmony, mentally, emotionally and physically is quite possible and realistic. Point being, there is nothing that is worth experiencing consistent states of stress and anxiety which always find their roots in consistent thoughts of fear, doubt, worry, lack and limitation which only serve to keep you “seemingly trapped” within their clutches. A focus aligned and harmonized with these “chosen ways of being” creates precisely what you’re “choosing” regardless of how “unconscious” that choosing might be, in tangible form. If you live with the uninvestigated thought that you need to pile up some predetermined sum of money to be safe, happy and secure, you are living in a hopeless state of mind. I know because I’ve been there and done that as I’ve shared. Many others that I know and have worked with have as well. I think it's also important to understand that acquiring money isn't dependent on anyone or anything except for you. Which leads into the next point. Stuff happens occasionally as is clearly apparent on a global scale. Banks succeed and fail, stock markets rise and crash, currencies inflate and deflate; people lie, break contracts and break their promises. It’s certainly nothing new. The very same has held “true” since we as a species have existed on this planet and the same is going to hold “true” for as long as we’re here. The point is, the world around us isn't getting any easier, more peaceful or less challenging. In order to change our individual circumstances, the only solution is for us to get better. To take the esoteric “perceptions” many have with regard to that statement, becoming more happens within ourselves and is nothing more or less than choosing to enhance and elevate our beliefs and perceptions about life and what’s truly available to ALL of us without exception. When we make that choice…when we commit to following through and changing what’s going on within ourselves our “DOING” becomes much more pleasant, far more fulfilling and rewarding beyond what “most” believe” to be possible. It's really simply a matter of precipitating a "paradigm shift." What’s going on out there becomes irrelevant and immaterial. In fact, when we choose to change what's going on within ourselves, we not only contribute to ourselves, we contribute in a very powerful and meaningful way to the world at large. But it ALL starts at the “Being” level. That’s where you begin to recognize and utilize your “true” power. When you choose this as your way of “being”, Real Freedom becomes a way of life. You begin experiencing Real Freedom in tangible form. Being is where it ALL begins. Being isn’t what you DO in the physical sense of the word. That comes later. DOING always follows being. The quality of your doing as well as the quality and quantity of the results always aligns and harmonizes with what you’re choosing to be. But to create new and different results it’s vitally important to understand that how you “perceive” these physical events, conditions and circumstances…all these “things” that happen “out there”…the judgment you place on them...the meaning you attach to them and the mental and emotional reactions and/or responses you choose as a result are what determines your individual experience with regard to money or anything else. When you change your way of “being” how you view and “perceive” the world, what you choose to do becomes much more productive. Becoming more isn’t difficult or complex with the exception of the difficulty and complexity that we “allow” it to be. It’s as simple as being open, willing and receptive to adopting an enhanced philosophy about life and opening your eyes to what’s “truly” going on. 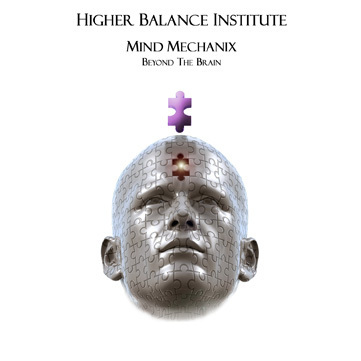 It’s a matter of being open, receptive and willing to adopt what I often refer to as a “Higher Truth.” Higher Truth is revealed by choosing to tune into your heart and opting out of listening to and following the self-limiting and self-sabotaging data stored in your head. If you live in this confused and less than empowering state of mind that you need to pile up money or anything else for that matter to be safe, secure and happy, you can earn and accumulate millions or even billions of dollars, all the stuff that money can buy and still be unfulfilled, insecure and unhappy. Some people…A LOT of people in fact honestly believe that a fear of not having enough is what motivates them to make money. But is that really true? Can you be absolutely certain that without fear as a motivator you wouldn't make the same amount of money or even more? It’s been my experience, both personally and otherwise that choosing that “mindset” isn’t really true at all. It’s not based on a “Higher Truth” I mean. In fact “fear” keeps most people stuck doing what they feel they MUST do rather than venturing out a bit, moving beyond the limitation of their “fear, doubt, worry and anxiety borders” and finally engaging in what they would love and are passionate about doing. Who would you be, what would happen and how much “stuff” could you enable and “allow” to “flow to you” if you never bought into and believed a "fear based story" again? What would and/or could life be like if you made the shift from “fear” to Love. A Love for what you do, a Love for how you do it, a Love for what you create as a result combined with a Love for those it serves. I’ll save you some time. Life would be of a kind and quality that you Love. You’d begin receiving what you love...whatever that might be. Let's change the words Love and fear to flow for just a minute. Life is all about flow. You determine the quality of the flow. I mention flow for very good reason. The process of creation is constant. It never rests…not EVER. The Universe and the laws that govern the process ensure that creation is in a constant flow. The quality of the flow isn’t rational, discerning, judgmental or logical. It NEVER discerns and determines what you receive. It provides a mirrored reflection that always harmonizes with what you give it to work with. What you choose to contribute to and feed the flow, the flow always returns. You can't NOT feed the flow any more than you can stop the flow. What you CAN do is determine what you feed it. Look at the perfection and unwavering process that takes place in nature. Nature is ALWAYS in flow. I plant an orange tree seed and the flow insures that I receive an orange tree. The flow always harmonizes with my choice as to which seeds I'll plant. Plant seeds of Love, compassion, empathy, caring, contribution and the flow provides a harvest that always harmonizes with that choice. Plant seeds of fear, doubt, worry, anxiety, what’s in it for me, unforgiveness, resentment and the harvest harmonizes with that choice. The “seeds” that determine what our individual harvest will consist of happens by what you’re choosing to BE. Everything that follows...the emotions, actions etc. serves as the fertilizer and the nurturing of those chosen seeds. Choose a “fear based” philosophy and the Universe honors your request. Choose a philosophy based on Love and the Universe honors your request. Creation never stops. It never rests. Something is ALWAYS being created. The Flow is a constant. The “inflow” that you provide determines the quality of the “Out Flow” that you receive back. If you’re receiving “less than desired” outcomes…if the flow is consistently delivering less than you’re hoping, wishing and praying that it will, it’s not a problem of “flow” it’s a "symptom" pointing to the "Real Problem" of not “consciously aligning” with the flow in a conscious, intentional and consistent way that enables you to open to it in a “conscious and intentional” kind of way to receive what you want. When you consciously align and harmonize with what is desired, the “flow” always delivers. If you’re “unconsciously aligned” and harmonized in a way that conflicts and sabotages what so many hope, wish, pray and “claim” they want, the flow always delivers. The Flow doesn’t determine the quality of your life, you do. The Flow simply delivers what you choose. The flow doesn’t discern, discriminate or determine what’s delivered…it only delivers. It always says yes. This is “crucial” to understand if you ever hope to experience whatever desires you might have for yourself. Once I discovered, understood and began "consciously applying" this “unfailing principle” of alignment and Flow, I began to notice I always have the perfect amount of anything and everything for me right now. Money began to "flow" rather than having to struggle and work so hard to get it. My relationships became more wholesome, more rewarding and far more fulfilling. My health improved. I felt more vibrant, energetic and alive. Life began to “flow” in a much more desirable, pleasant and much “easier” kind of way. The simplicity, perfection and unerring nature of the flow revealed itself. The flow didn’t open or close. It wasn’t ever blocked or dammed up. The quality of the flow just changed when I chose to change. I chose to plant different seeds and the flow honored my choice. The kind and quality of The Flow is always aligned and harmonized with the kind and quality of consciousness that we choose which the flow ALWAYS delivers. To experience transformation requires nothing more or less than adopting and following the wisdom that was shared and conveyed thousands of years ago. Your mind is the "seed planter." A clear mind is in the Flow. It knows how to live, how to work, what to do and how to do it. It knows what emails to send, what phone calls to make and whatever else needs to be done to create what it wants without fear, doubt and worry. A clear mind focuses on what it Loves and does just that…what it Loves. When you understand this and make a conscious, intentional and consistent choice to align and harmonize yourself with it, you begin to realize you already have access to all the money, security and peace of mind you could ever want and previously “perceived” that money could give you in the first place. And you’ll also notice, should you choose this as a consistent “way of being” that it’s a lot easier...fun and enjoyable even...to make money when this state of mind is chosen and held. Money starts “flowing” to you. You begin "attracting" the right people, ideas, circumstances and guidance that leads you wherever it might be that you have a desire to go. It becomes effortless and fun. It feels good. It begins “flowing to you” rather than frantically scurrying around in your futile attempts, anxiously and fearfully trying to DO more and more as you gather as much as you can in your blind and “unconscious” attempts to eliminate the fear of not surviving or fearing that you won’t get by if you don’t do things in this “fear based” way. A way that "common sense" has you engaging in which in turn delivers "common results" that the vast majority experience. You begin to understand, become keenly aware of and experience the magnificence, awe and perfection of the immutable, unwavering and non-discerning principle that’s ALWAYS in ALL WAYS working which has recently been labeled and is widely known today as The Law of Attraction. But make no mistake. The Law of Attraction is nothing NEW and it most certainly is NO Secret. It’s been working this way long before you or I arrived here. It’s going to continue working this way long after we’re gone. The Key to experiencing all that we have the right and the ability to experience why we’re here in this “physical form” lies in becoming keenly and consciously aware of what we’re choosing to BE followed by aligning and harmonizing that “chosen way” of BEING in such a way that we DO what we Love which serves enough others in getting what they Love as well. Then and only then can we expect to consistently receive what we Love and retain this way of being, doing and having long term. It really boils down to falling in Love. With yourself, (especially yourself) with what you think, with what you do and with others. And then what you Love (desire) starts showing up. It “truly is” as simple and/or complex as that. The process of creation is profoundly simple. But let’s face it, consciously and consistently initiating its power to begin producing “desirable” outcomes isn’t always easy initially. Making the shift from fear to Love can require some doing initially that many find to be a challenge. Some even "claim" that it's impossible. Care to guess what kind of time they'll have making "the shift?" Yet working through the "perceived challenges" requires that you begin. You have to start. "I can do it, I am smart. All I have to do is start." The fact of the matter is we are ALL born genius's. There are no exceptions. Our genius becomes buried beneath layers and layers of beliefs acquired through indoctrination as we go through life. We're often "taught" how limited we are, how hard life is, what must be done to get what we want, blah, blah, blah and the "truth" we choose to adopt becomes true for us. We're born into greatness and conditioned into mediocrity. We simply have to recognize, peel back and remove the layers to rediscover the genius that conditioning has buried. Doing that, requires some doing. It's more about undoing than it is "doing" really. But undoing requires that we do something. We all have to pay one of 2 prices. The price of discipline now or the price of regret later on. Neither is “right or wrong” or “good or bad” in the bigger scheme of things. It’s simply a matter of “perception” and individual choice. We can "choose to" or choose not to. The kind and quality of our lives will always reflect that choice. You can make your heartfelt desires a tangible reality or you can choose to stay in want, hoping and wishing mode. So, the mega gazzilion dollar question is “How badly do you want what you want?” How strong is your desire? Are you clear on your WHAT and WHY? Is it aligned and harmonized with Love or is it based on fear? 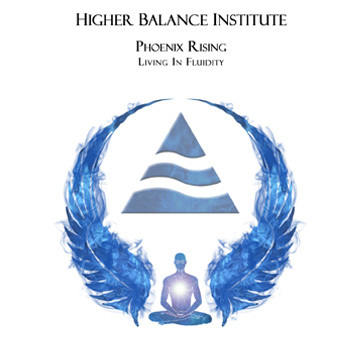 Is it strong enough to lead you into the “light” of being, doing and having in such a way that aligns and harmonizes with assisting enough others to get what they want? We all have a purpose for being here. We all have the ways and means to make our heartfelt hopes, dreams and desires real. We only have to become “conscious” of that fact, get clear on what we want, why we want it and make the choice to “begin” moving toward it. More specifically, it's you that must choose which path you'll walk as you seek out and attempt to make whatever hope, dream or desire you might have for yourself "real and tangible." Yours may be different than mine. It may be different than EVERYBODY’S. What it is doesn’t matter. What's available to you is Infinite in nature. What matters is how YOU feel about it and what YOU do with it. “Allowing” others to discern and tell you what’s right and good and rewarding and best for you is choosing to give your “true power” away to those who you “allow” to do that. Yet that’s precisely what the vast majority does. They “choose” to follow the masses. They choose to allow others to make their choices for them. They choose to listen and buy into the opinions and beliefs of others which are often times based on a very limited and shortsighted way of “doing things.” They get “seemingly trapped” within a “sheeple people” mentality which is precisely why so many never achieve greater results than the vast majority (the herd) does. They "allow" themselves to create a self sabotaging form of internal disharmony and conflict by doing things in such a way that isn't aligned and harmonized with what they "truly value." And the flow delivers it without fail. We’re each unique and incredibly powerful without exception. We each were provided the gift as well as the ability to paint our own masterpiece on the canvas of life. Yet most choose the paint by numbers version. To be, do and have what we "truly desire" in life, it's important to be and do what others choose not to in order to have what others never will. What's the simplest way to do that? Be you. The "real" you. Don’t allow others to paint your picture for you or tell you which brushes or colors you should use. You’ll wind up with the same picture that others do. Nothing "wrong" with that if that's what you choose. If you love that picture, keep painting it. I assist people to rediscover their uniqueness. I assist those willing to understand the importance of becoming and remaining independent thinkers. 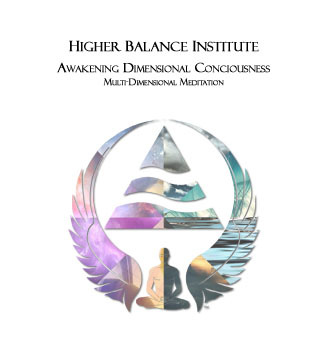 I assist those who are willing and serious to develop the beliefs, understanding, perceptions and a “shift in consciousness” that makes experiencing a life of harmony, fulfillment, joy, inner peace and Real Freedom real and tangible. I don't and never will claim that my way is the only way...it's NOT. There are many paths. An Infinite number in fact. I've found the way I do things to be the shortest and most fulfilling path that I'm aware of. What I can and will claim without reservation is the fact that taking the next few minutes to finish reading through what I'll be sharing with you could provide you with the understanding, the answers and everything else you could possibly need to change the entire course of your life. Including as much money and material wealth as you're willing to open yourself up to and “allow” to flow to you. Because truly…regardless of what you might currently “perceive” as being true or untrue, receiving what we want is as simple as “getting out of our own way” and “allowing” the flow to deliver it to us. Since this very same flow is delivering what most people DON’T WANT, is it worth a bit of time, discipline, effort and choosing a different way of DOING things that will shift the quality of the flow in such a way that it delivers what it is that you DO want? If you're familiar with my work, you're already well aware that I don't attempt to mesmerize or hypnotize you with misleading words like quick, cheap, easy and free as so many today do. The fact that you’re here reading this page means you acknowledge and recognize the fact that there's a gap between where you are now and where you truly want to be. Of course you want to better yourself and your results in your life. I mean let's be real here...Who doesn’t want more of something? It’s an inherent part of who we are. We ALL have desires of some form or another. It may be a desire to have more money and stuff or something else all together. Desire is a form of Love surfacing and revealing itself so we might choose to express and experience it. Do you Love yourself enough to get it? Do you see yourself as “worthy and able” to make what you Love real and tangible? Are you open and willing to do what’s necessary to discover a way of “DOING things” in a way that you Love which also provides enough others with what they Love to open the flow to receiving whatever it might be that you Love? Are you open, willing and ready to align and harmonize your "core values" with what you do? If the answer to any of those questions is no, take heart. A lot of very happy, successful, wealthy and fulfilled people began there. But they didn’t choose to remain there. They changed something. They bagan walking a different path. They were willing to DO something that those who refuse to move forward don’t do. They chose to change themselves. They chose to “become” more. Then they chose to “do something” that those who "perceive themselves" as less than successful and who consistently and frantically seek, happiness "out there" choose not to do. What’s necessary for you individually can only be determined by you. Being unique as you are, the ways and means for you to make the shift may require a different way of “doing things” than another. That may require prioritizing things in such a way that you hadn’t considered or “perceived” that you could previously. It may require taking some “time” that you previously “perceived” that you didn’t have. Not more time to DO more but rather the time necessary to “become more.” Becoming more begins inside. Becoming more precipitates change in such a way that you achieve and accomplish more in much less “time” than most “perceive” as being possible. Choosing this way of “DOING” things actually increases the amount of time that so many “perceive” themselves as NOT having and their refusal to DO so keeps them “seemingly trapped” in a world and life that creates additional fear, stress and anxiety that a “lack of time” to DO what’s “truly desired” creates. 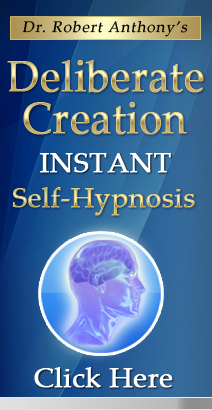 They remain “seemingly trapped” in their own self-created cycles. The self-repeating and seemingly inescapable patterns that mold and shape the various aspects of their lives continue as they have simply because they “perceive” themselves as unable to DO what’s necessary and simply refuse to take the time that shifting these cycles and patterns requires initially. Yet as “true” as that is, those who “choose” to take the time and expend the effort necessary to precipitate change often experience “quantum leaps” in their results which make space and time secondary. They begin to see and experience for themselves that space/time is an illusion. But they chose to start. They made the commitment and then they followed through and did something. If you're in the mindset of the vast majority, it's likely that the positive change you're seeking has at least something to do with creating greater financial abundance for yourself. First and foremost I commend you for taking the initiative. Since you’ve read this far, you've already done more than many are willing to do. EVERYBODY wants, yet so many simply don’t want to and as a result won’t DO what’s necessary to get what they want perhaps due to the fact that they “perceive” what they must do to receive it is difficult and complex. So, as a result of this “less than true” perception, they just want and want and want, in some cases their entire lives, and the Source, the Universe, Higher Power, The Flow, or whatever the Source of your understanding might be says…OK!!. So...an important realization to come to and a necessary understanding to acquire is to quit WANTING money. "Want for nothing" as timeless wisdom states. You don't have to "want" what's already yours. You have to claim it but you most certainly don't have to "want it." You CAN if you choose to but you'll keep wanting and "The Flow" will keep delivering more of the same. Want implies lack. Wanting isn’t having. Look it up in the dictionary. It’s very clear. Once you “get that” and understand it, why so many “unconsciously remain” in want mode becomes blatantly obvious. Since the Source is non-discerning, non-rational, etc. He/She/It only provides what you ask. “Whatsoever ye desire when ye pray” as spiritual text states it. Your mind being the mechanism that processes “consciousness”, communicates with whatever the Source of your understanding is, consistently communicates your “prayers” of “want” to Source and Source says YES, here you go. Here’s more “want.” Whatsoever ye desire when ye pray is delivered to you in exact proportion to what you asked for. Since you are consistently “thinking”, you are in essence “praying without ceasing.” If your mind is consistently “praying” for something that conflicts with what is “truly desired”, it’s only necessary to become conscious of what’s happening and once understood and you become aware of what that is, should you discover that it’s something other than you “consciously desire”, simply make the shift. From a more scientific perspective you could say that consciousness is the quantum language. Quantum language isn't words or physical actions or anything else except outbound vibratory frequencies created and projected by the quality of "consciousness" that you choose to consistently engage in. Choosing to "consciously" direct and focus the quality of your "consciousness" in a way that harmonizes with the desire, initiates the unfailing and unwavering process that immediately begins to draw and attract the ways and means to make the desire real and tangible. It’s a form of DOING that most overlook and don’t give any time or attention to doing. But I think it's also vitally important to make a few things "crystal clear" with regard to “DOING” that will enable you to make whatever hopes, dreams and desires you have, whether financially or otherwise much more simple, require far less effort and FAR LESS painless to acquire should you choose to move forward and do what's necessary to make your desires "Real and Tangible." It’s unbelievably simple. Profoundly simple in fact, which as we’ve covered, is precisely why more don’t experience the levels of success, harmony, fulfillment, peace of mind and/or financial freedom that so many “claim” they want but never receive. These next moments are the basis for giving you everything… and I do mean EVERYTHING…you’ve ever wished for in your life. Yes it goes well beyond money, financial freedom and material “stuff” although the same holds true. Pretty basic and simple logic. But something else I did, that I have since discovered that many DON’T do, is move forward and take action doing what I "Loved"....something that aligned and harmonized with my "core values" and I also did so with the “underlying intention” of contributing to and serving others. I aligned and harmonized with "Love" on ALL levels. The same holds true for you. And yes, it requires ALL of them to produce the greatest results with the least amount of effort. But it begins inside. The often overlooked and MOST IMPORTANT thing that you can and must do if you “truly hope” to create desirable and significant change is recognize the importance of becoming keenly and consciously aware of and shifting what’s happening within yourself should you discover that it’s misaligned and/or disharmonious with what you desire. Look at your results. If they’re less than desired currently you can know that a shift is necessary to open the flow to greater and more pleasing results. When you make a conscious and intentional choice to shift what you've chosen to "be", the shift is evidenced and made real and tangible in everything you see. It's quite "simple" and profoundly transformational. And I suppose you could say they are should you choose "common sense" as your methodology to judge and perceive things, but the fact of the matter is, they created the “luck” they’re experiencing by DOING things in a certain way that so many don’t. In fact, these savvy and “lucky” people now always find, even in the face of what they once perceived as being calamity, adversity and “insurmountable” roadblocks… they can easily evaporate ANY “perceived” negative circumstance… once they're aware of how to do so and make a "conscious choice" to "consistently apply" what they've become aware of. They become keenly and consciously aware of what they're "being" and in a large number of cases shift what they're "doing." Those are both VITAL ingredients for being, doing and having more. Without action awareness is useless. Action without "conscious awareness" is more times than not futile or very limited at best. Action produces results. Tangible results. But knowing the “right” actions to take based on an awareness of Higher Truth and choosing to take them enables you to discover and walk the “short path” to wherever it might be that you have a desire to go. The only kind of "meaningful results" are "measurable results." If you can't measure them they're not results. Yet most engage in forms of action that create hard earned, limited and mediocre results at best. Results that often times create fear, doubt, worry, anxiety, exhaustion and overwhelm. Since you’re still reading this, I believe you are more driven than most people. A lot of them would have already exited this page and moved onto the next “fast food easy” technique. But you’re still here. Maybe it's because you hear that small voice within – the one that whispers to you every single day. The one that keeps you awake at night saying you were meant for something more than a run of the mill existence. That may be the case and it may not be. Only you can know why you're still here. And I certainly don't mean to beat a dead horse but it's SO important to get this that I'm going to revert back to something that we've covered in some depth already. Most people "believe" that acquiring some predefined amount of money is going to create that for them. And although money IS a very important part of FULLY experiencing a truly happy, harmonious and fulfilling quality of life, it's just that...a part. The "amount of money" varies from person to person without question yet it IS a vitally important part of life. Creating and experiencing Abundance and Happiness in life...knowing what it is to experience a stress free and wholesome lifestyle requires a sufficient amount of money for sure. But it requires more than money. That’s more than just a “personal opinion.” I personally know A LOT of people with a LOT of money who certainly are everything but "stress free" and are about as far away from feeling wholesome and fulfilled as anyone can be. “Since I'm not the type to beat around the bush or sugar coat things, I'm going to start out by being quite up front and frank. I instruct, coach and mentor a lot of people globally and have for a number of years. 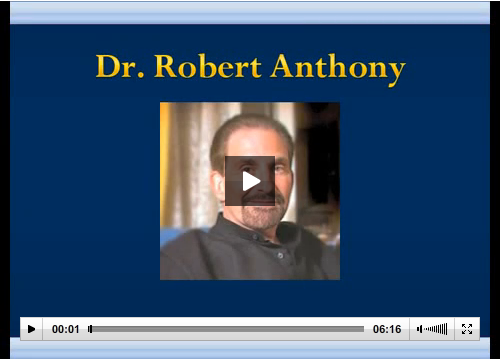 I know that EVERYONE wants to create and experience a greater quality of life for themselves. I also know that as many that seek out the ways and means to create more of whatever they aspire to create for themselves, whether money or something else, that few will actually follow through and DO what's necessary to make what they "claim" they want Real and Tangible. Sure, a LOT of people hear some incredibly motivational speaker or receive some form of inspiration that ignites a spark of passion and desire for a short time. Then, they excitedly start out, but many (most in fact) of them quit prematurely and never finish what they set out to do. Winners aren't created by starting and never finishing. I know a lot of well intended people who come off the starting line like gangbusters. They become excited, are ready and raring to go, they take a few steps in the right direction and then fizzle out at the first hurdle they encounter. They simply give up prior to reaching the finish line. The reasons are many. Let me rephrase that....the EXCUSES are many. There are no justifiable "reasons" why you or anyone else with a “sincere desire” to do so, can't create a stress free and wholesome quality of life for yourself. Because I can assure you that crossing over the finish line and winning requires more than making some halfhearted choice to win. That's the first step without question. A VITAL first step. But there are steps that follow and if you choose not to take them, you choose not to win. Again, it’s not right or wrong or good or bad, it’s simply a choice that you have the ability to make if ever and whenever you choose to do so. The kind and quality of your choice will always align and harmonize with the quality of your results. There are never a lack of results, only a quality of “consciousness”…a way of “being” that when utilized and expressed “unconsciously” leads to actions that produce what are often “perceived” as being a lack results. But results are always showing up. An abundance of results. As I often share, faith and abundance is all there is. What you’re receiving an abundance of is, always has been and always will be aligned and harmonized with the quality of faith you choose to hold onto. If you’re consistently receiving an abundance of mediocre results, you “believe” and have faith at some level that that’s how life is. If you’re receiving a consistent flow of poverty, lack, limitation and discord, your faith is instructing the flow to deliver that to you. But it goes beyond faith although it’s interconnected with the kind and quality of faith that we choose for ourselves. Our level and quality of faith determines what we do or don’t do. We're all born to win. We're all provided the same ability. We each have the same tools, the same innate genius within us and the free will to utilize it or not. Many don't think so simply because they've been taught many things about winning....the main thing being what it takes to win based on "less than true" advice that they honestly "believe and perceive as being valid. Admittedly, we can’t change nor control what we’ve been taught or what we’ve done to this point to create whatever results we’ve experienced, but we can and must at some point begin making different choices and doing things in a different way than we have if we truly expect to begin experiencing more of the desirable results that so many just hope, wish and pray for. The first choice is coming to the realization and importance of accepting FULL responsibility for where you are, where you’ve been and where you’re going to end up at some future point in time. It's a choice...an essential choice that both enables and empowers you to reclaim your power...to begin "consciously utilizing" your genius. Doing this…choosing this way of being will enable you to reclaim and refocus your power in such a way that both enables and empowers you to begin getting what you "desire." Nothing “out there”, whether people, institutions, governments or ANY event, condition or circumstance that so many use as “excuses” for NOT getting what they want, can impact nor affect you as you move toward fulfilling whatever your desired outcome might be whether financial freedom or ANYTHING else. Perceived failure, disappointment, lack, limitation and discord simply disappear. Real Harmony, Real Joy, Real Fulfillment and Real Freedom become a way of life. and Become the Winner You Were Born To Be! I’ve talked with a number of people over the years who “claim” they “tried” this or that but they failed. Due to this “choice” they “fear” trying anything again simply because they “fear” failing again. Although a “common way” of perceiving and “doing things”, it’s not a way or a mindset that will enable you to get what you desire. So let’s look at that and see why and how it is that so many “perceive” themselves as failing and why so many choose to go back to the “status quo” and quit “trying” altogether. Let's focus on and dissect the words "try" and "failure." Let's look at those who "claim" they tried yet didn't achieve what they set out "trying" to do. First and foremost it’s quite possible that the intention of trying is precisely what created the “perceived” failure. First of all nothing ever gets done by “trying.” Either you do or you don’t. There are no other “logical choices” for those who sincerely desire to achieve whatever it might be that they set out to achieve. Trying is a back door…an escape hatch if you will that makes those who “try” and “perceive” failure as a result feel better about not achieving what they “claimed” they desired and set out to achieve. A focus and intention of trying makes quitting much more tempting and easier to do when some “perceived” obstacle reveals itself. Trying is nothing more or nothing less than an easy way to “duck out” rather than choosing a strong resolve of “doing” regardless. Trying isn’t in any way, shape or form a commitment to seeing things through. Far too many try and never finish what they set out to do, but only because their initial commitment was to “try” which isn’t a commitment at all. It’s a halfhearted choice with no conviction or resolve to keep on keeping on regardless. Trying doesn’t come from the heart. Trying is a product of the mind. It assumes that due to experiences of the past…less than desired experiences…that the same less than desired result is possible and perhaps even “probable” at some point in the future. Sorry to inform you but desires are “Love” seeking expression and unfounded “perceptions” regarding “Love” not being meant to be are nothing more than excuses based on a very limited “awareness” of what’s truly possible for and available to you. Point being, if you have a sincere desire to set out and achieve something whether monetarily or otherwise, eliminate and quit “trying” and set out to do and keep doing it until you DO it. Failure is an impossibility. It, like everything else is nothng more or less than a perception. A successful result is ALWAYS created regardless if you try and “perceive” failure or otherwise. The process NEVER fails. It’s ALWAYS successful. Something is always being “successfully” created. The flow always delivers. Granted the outcome may be the “polar opposite” of the initial desire but failure doesn’t and can never happen. We only perceive it that way. The process of creation would have to stop working which is never going to happen. So let’s look at “perceived failure” and why so many “perceive” it as being real and true. Failure is impossible without a choice to quit. You simply cannot fail unless and until you quit…period. Winners don’t quit. That’s how and why they get to be winners. Quitting half way to the finish line doesn’t win the trophy. Those who keep on keeping on even in the face of “seemingly insurmountable” obstacles, pains, and “perceived” blocks and barriers always go over, under or around them and always cross the finish line. Quitting never has and never will create the “desired” result. If you've been there and done that, you KNOW what I'm talking about. And if you have, those statements may touch on a soft spot...in fact it may even hurt a bit but it's true. It’s based on a Higher Truth than most “try” to understand. You can't lose and/or fail unless and until you choose to quit and give up on your dreams and desires. Anything less than achieving what you desire to create for yourself isn't failure unless and until you choose to allow it to be. But those who do choose that for themselves “allow” the flow to successfully create what they “perceive to be” failure. Sadly, many DO just that. Some DO that just prior to breaking through their self-created walls and making their heartfelt dreams and desires real and tangible. You can never know how close you are unless you continue moving forward down your chosen path and complete that journey. Unlike many of the "feel good" kick back and visualize your dream life into being resources that have become so prevalent on the internet today, I freely share what it takes to create Real and Tangible results in life whether physically, financially, relationally, emotionally or spiritually. I take it VERY seriously too. It's my purpose as well as my passion to assist those who have the "sincere desire" and are serious about creating "desired change" in their lives with no nonsense tools, systems and processes that I KNOW based on personal experience enable them to do so. The way I choose to do things, there is no try and there is no failure. It may at times require re-thinking and re-charting the course as you get your bearings, but the outcome is inevitable. The reason that’s “true” is due to the intention, beliefs and the tools that I choose to utilize. But I also know once you have them, once you know what they are and how to use them...you MUST USE THEM. Tools are only tools. A hammer doesn't pick itself up and drive the nail for you. You have to pick it up and swing it. A hammer is a great tool...a very useful tool that can make the "desired" result much simpler and produce that result with far less effort than necessary if you didn't have it. But it can't, doesn't and won't do what it was created and intended to do all by itself. You have to know how to use it. You must be willing to pick it up and swing it. At first that may require that someone show you how. It’s the same with another tool that you, I and everybody else already has. Your mind. That’s all your mind is. A tool. Just like a hammer it’s necessary to learn how to use it to produce the “desired” result. It’s a profoundly powerful tool too. It can be used to get what you want or misused to consistently produce and get what you don’t want. How you use yours is up to you and that choice determines your outcomes. Winners get that. They understand that tools are nothing more or less than tools. But they find the right tools, they choose to use them and as a result discover in many cases that winning can and often does come much sooner and with far less effort than they initially thought or “believed” that it could. The first step is enhancing and elevating the belief and shifting the "perception." That may be as simple and subtle as making the shift from a previous "perception" of "it's impossible" to a "perception" of "it's possible." I receive contacts…many contacts from MANY people globally who are always asking questions about how do I get this or get that or do this to create ____________? They want the magic answer, the fast food easy drive up to the window and drive off with their “new life” approach without having to DO anything. They’re willing to start until they find out that it may be necessary to DO some things that they hadn’t conceived as being necessary. They often “perceive” this as being “true” based on some self professed "guru" or “Law of Attraction” teacher that told them all that was necessary to have their desires fulfilled was to get nice and cozy in a chair, close your eyes and “visualize” your dream life into being. I know of many people who have "tried" that yet didn't like the results. They did like how it made them "feel" as they did it, yet that's all they did and it didn't, couldn't and NEVER will produce measurable results. Visualizing is a great place to start. A necessary place to start. You could say it’s a very powerful and necessary tool. But it’s only a start. To finish in first place and get the trophy requires some additional steps. I'm not interested in starters...I'm interested in assisting those who are "serious and committed to crossing the finish line...those who aspire to create Real Freedom for themselves whatever that might mean for you individually. Creating a kind and quality of life that most don't and perhaps never will requires DOING something that most people WON'T. The first step is making a choice and then following through on that choice REGARDLESS. Chances are that you're still here because you are looking to improve your financial situation and create a better, more fulfilling and harmonious quality of life for yourself and your family. I know as a result of working with so many people that you want the freedom to do what you want, more time to actually do it and the financial resources and "peace of mind" to support and sustain it once you get it. No SECRETS there. And it's certainly nothing new. EVERYBODY "wants" that. EVERYBODY is seeking that. But not EVERYBODY is aware that it’s theirs for the taking and they CAN have it if ever and whenever they choose to do so. Others are aware that they can, but simply are “unaware” of how to make it real and tangible and/or they are unwilling to DO what's necessary to make it real. I can, will and do show people how to "DO" that. I can and will show you how to do the same if you choose to allow me to. But make no mistake...DOING is an important and necessary part of the process. But more than just "blindly" doing, it does require DOING the right things in the right order. A LOT of people do but have no idea of where they're starting from, choose not to hold a clear vision of where they’re going nor a specific game plan that enables their doing to create the "desired result." So when are you going to finally DO something different than you have been to make whatever you want Real and Tangible for yourself? Are you ever going to arrive at the place that you're tired of not having enough money, freedom, peace of mind and finally do something about it? It's a sad fact that most will "allow" the suffering, mediocrity, getting by and "doing" what they "perceive" as being necessary to survive regardless of how they "feel" about it to become "seemingly unbearable" before they choose to change. Just as many will continue seeking their answers "out there" always looking for the Secret or the "magic pill." I'm going to recommend that you stop dabbling and hopping from one personal development product to the next...to quit jumping from one website and/or "Create your dream life by tomorrow opportunity" to another and make a firm commitment to yourself to finally DO something starting right here, right now that will produce a kind and quality of life that so many only "hope, wish, pray for and dream" about creating "someday." You CAN if you choose, do nothing. You CAN if you choose continue to “wait” for your ship to come in or for someone to drop whatever you "desire" in your lap. You CAN wait for the one in three gazillion odds of hitting the lottery. If you haven't created a kind and quality of life that you "truly desire" for yourself but you've been earnest in your search, chances are quite good that up to this point you’ve either been closed minded to the ways and means that have revealed themselves, “inactive” in moving toward it or unnecessarily wasting your time and money only to experience information overload consistently pursuing the wrong approach and/or not APPLYING what you've spent so much time and money acquiring. Well, as I’ve shared, I've walked that path. In fact, I've walked a number of paths in my life actually. I know the joy and fulfillment of abundance and plenty and I know the almost overwhelming sensations of fear, doubt, worry, pain and anxiety associated with not having enough to fulfill the basic essentials of life, let alone do what I "truly wanted" to do for those I love. I know what it “feels like” to be frozen in fear as well as what it’s like to see Love work it’s magic as I consciously focused on it, moved toward it and basked in the light that it ALWAYS provides. Yet as I look back, those were ALL good things. They were necessary for me. What I once "perceived" as being the good, the bad and the ugly were all necessary and collectively determined which paths I walked as I made whatever choices I made. I've acquired a lot of understanding during those diverse (and at times terrifying) periods of "path walking." But as I look back to then from the vantage point of now, I like to think of these less than desired periods as "growth lessons." I’m extremely grateful for them. They were ALL a necessary and very enlightening part of my journey. They were an important aspect of what I personally needed to become sick and tired of being sick and tired which enabled me to make a choice followed by a firm and unwavering commitment to move beyond what I once “perceived” as being wrong, bad, unfair, stuck, helpless, etc. But it didn't happen by itself. I had to DO something. I had to "choose" to seek out and find what I "perceived" as being a better way and once found it was necessary to USE what I found. And ALL that seeking…ALL that path walking and ALL those “less than desired” outcomes led me to where I never dreamed to look. Within myself. That’s where you can find them as well. It’s the ONLY place you WILL find them. It’s not really about finding anything really. It’s more about shifting. Shifting how we view and perceive the world. When you find the power behind and that exists within choosing to do things in that way everything else begins to “flow” in the perfect, effortless and unfailing way it was designed to flow which it always has, always does and always will. Once I "found it" and "knew" that what I had found held the answers that I had been looking for, it became necessary to make a firm and unwavering commitment to myself that I would DO something with it and keep moving forward DOING it until I achieved what I had committed to achieving. Today I get to experience a wholesome, rewarding and stress free quality of life. Today I Love what I do. I Love the contribution I make. I Love the way it assists others in being, doing and having more in their lives. I Love those who it reaches and I Love the fulfillment and the “tangible rewards” that always follow as a result of “choosing” to do things in the way I do. I’m fortunate enough to have made the choice to seek out, find and continue walking the path that led to a kind and quality of life that enables me to enjoy, savor and experience a quality of scenery that so many only hope, wish, pray and wait for. As a result of choosing to walk the "long path" I also discovered what I now refer to as the "short path" that leads to a better, far more pleasing and without question more financially secure quality of life. I made a choice that I would utilize those experiences to serve and contribute to those who are seeking, open and “serious” about creating change for themselves by utilizing my years of “path walking” to assist them in shortening their own path. And because of that “personal path walking”, I can assist you in creating whatever results you desire for you and your family. How I do it may or may not be for you. That's OK. My way of "doing things" isn't for everyone. Everybody isn't ready for any "infinite" number of reasons. But I would suggest that you become honest with yourself...look deeply within yourself to make certain that whatever your "perceived" reasons might be are truly "reasons" and not excuses. Anything that surfaces that conflicts with the fulfillment of heartfelt desires...anything that keeps you from moving forward and doing what you love...serving and contributing to others and fulfilling their needs based on what you love or any "excuses" that come up that attempt to sway you or keep you from taking action in a way that you Love is nothing more or less than "allowing" your head to get in the way of "heartfelt guidance and direction." Then it's simply a matter of moving through all the "excuses" as to why you can't and begin focusing on and initiating all the reasons why you can. Find the way in rather than the way out. It's not a "common path" for sure but it most certainly exists and the scenery is such that those who choose not to walk it never experience. But it requires an openness and willingness to discover it first and foremost and once discovered to begin "walking down it" if you "truly hope" to experience and savor the awesome scenery that "choosing" to do so provides. No it's not always fast food easy initially. That depends on you. But the benefits, rewards, peace of mind and the freedom made real by making that choice far outweigh the cost necessary to get there. But arriving and finally getting there requires a choice. The first choice I personally made was coming to the realization that it was going to be necessary to change paths. I didn't much like the scenery during some of those early years of my path walking...that's for sure. I came to the realization that if the scenery was going to change, I was going to have to change. I also came to the realization that I was going to have to DO something different. Something that I hadn't done prior. I came to the realization that choosing a different path was going to be necessary if I "truly hoped" to reach my chosen and desired destination. The most powerful and empowering choice I made was to change my mind. I chose to elevate and enhance the quality of mind to that of "heart based" direction. That choice opened new doors and opportunities that I previously “perceived” that only the “lucky” and fortunate few ever had the chance or the opportunity to walk through. As long as I “thought that”, I got to be right. If you find yourself “thinking the same”, you’ll get to be right as well unless and until you choose something different. The very same holds true for you, me or anyone else regardless of who you are or what results you might currently be experiencing. Once I understood the importance of "doing that" and followed that choice with a form of "doing" that enabled me to see just how powerfully creative WE ALL ARE, the shift happened. What I once to believed and perceived as being "common sense" was elevated dramatically and I began to see and experience just how limiting, self sabotaging and ridiculous "common sense" can be. What I once "perceived" as being "true" based on "common sense"...what I once "thought and believed" to be rational, logical, practical and feasible is, "almost amazingly" quite irrational, illogical, impractical yet still feasible only due to my choices to discover and understand just how feasible it is. We all get to "choose" our paths in life. It's not rocket science. It doesn't have to be difficult. It CAN be, but it doesn't have to be. You can choose the long path, the short path or no path at all. You're the one that makes that choice. You're the only one that can. But it’s vitally important to understand and be aware of the fact that not choosing is also a choice. The first choice that I recommend is being open, willing and receptive to adopting a philosophy that you may not have previously considered and perhaps “perceived” as being non-applicable to and for you. Change requires and begins with a choice. No more no less. Once a choice is made it's necessary to make the commitment to follow through until you see that original choice manifest in tangible form in the way of "measurable results." But the good news is, that it’s not too late to change...REGARDLESS. It's NEVER too late to create whatever change you aspire to create for yourself. That is unless YOU choose for it to be. You DO have the ability to choose struggle, mediocrity, settling and getting by as a way of life as well as the ability to create a wholesome, rewarding, fulfilling and stress free quality of life for yourself and those you love as well as those you serve. Make no mistake. The Source ALWAYS says YES regardless of what you choose and the flow always delivers precisely that. It’s NEVER blocked, broken, random or flawed. It’s ALWAYS flowing and always delivers precisely what we “expect” it will. It's all about choice...yours. What a lot of people overlook is the fact that not choosing is also a choice and it's one that many make which is precisely why so many never discover just how "simple" creating significant "desired change" can be. They simply allow the random wind to blow them where it will all the while “perceiving” that they have no say so in the matter. They, often times without even realizing what they’re DOING “perceive” themselves and as a result remain “seemingly stuck and trapped” as a creature of circumstance rather than tapping into and “consciously utilizing” the power and the gift provided to each of us without exception to utilize those gifts, beliefs and tools to become a conscious, intentional, purposeful creator of circumstance. Since you're still here and still reading this, chances are good that you're "serious" or at the very least extremely curious about finding and walking the path that leads to creating positive and desired change for yourself. If that's the case allow me to extend a sincere and heartfelt Congratulations. If you resonate with what I share...if it "feels good" to you...if it makes sense and you can "see" how it can enhance some aspect of your life, use it...apply it...keep on keepin on and I'll assure you that you'll see and experience a kind and quality of life that many don't and perhaps never will. I don't have all the answers. The paths to explore are infinite in nature. There are more than I'll ever be able to explore. We NEVER arrive...there's ALWAYS more to experience. But I can tell you this. Of the many paths I've explored and ventured down, the one I'm walking now is the most pleasant, rewarding, fulfilling and scenic path that I've ever walked. You can experience the same if ever and whenever you choose to do so. I can't possibly know everything about you but here's what I do know. There’s greatness in you. There are ZERO exceptions. You may or may not understand that currently. It’s quite possible and highly probable that you’re using your greatness “unconsciously”, but rest assured you’re using it. It doesn’t matter who you are, where you’ve been or what individual desires you might have for yourself and those you love. You already have the ability and all the gifts you could possibly need RIGHT HERE RIGHT NOW to create an extraordinary quality of life for yourself. And if you’re not, it all begins by changing your mind. You don't have to go through the "school of hard knocks" before understanding how true that is. You CAN but it's certainly not necessary. If a "self educated" high school drop out like me who was kicked of out high school, started out in life as a busboy, graduated to being a welder, moved on to build and crash 2 businesses, was days away from becoming homeless and even filed bankruptcy not once but 3 times, then certainly someone as smart, well intended and caring as you can create a wholesome and stress free lifestyle for yourself. It only requires educating yourself with a far greater, far more productive and far more empowering form of education that "traditional" schools, colleges and universities could ever hope to provide. That begins by discovering the power that you possess within yourself. It's there. As I've shared, there’s genius in all of us. I’m not referring to the limited, finite Formal education, IQ type of genius that “the world” often refers to and “perceives” as necessary to create a life of success and plenty. I’m referring to a form of genius that resides within you, me and anyone else who’s willing to look for it, uncover it and DO what’s necessary to tap into and begin "consciously" utilizing it. And you can whenever you choose to. But it’s YOU that must make that choice. I know you can but what I know is immaterial. It's what you know and DO that matters. It's just as "true" that what you "know" and don't or won't DO as a result is what has, is and will continue producing the kind and quality of life that you have, are and will continue experiencing unless different choices are made. You don’t HAVE to do anything. No doubts or questions about that. It’s 100% optional. Mandatory rules, laws and "you must do it this way" approach wasn't infused in the plan. But it IS mandatory if you ever hope to achieve greater and more pleasing results than you have. If you're satisfied, fulfilled and completely happy with where you are, congratulations. You're one of a small percentage. Just keep doing what you're doing. You don't need me. In fact you don't NEED anything or anybody. But if you're not, and "truly desire" to be, understand that creating something different is going to require choosing and DOING something different than you have. It's going to require a shift. In some cases a very simple and subtle shift. In other cases it’s going to require changing paths altogether and be the hardest thing you've ever done. Creating change requires choosing change and then DOING what's necessary to make the "desired change" real and tangible. It truly is about choice. You can leave and keep doing things the way you have or you can make a choice, right here, right now that may prove to be the most enlightening and empowering choice you've EVER made that turns it all around for you. You know what's best for you. That's not my call nor is it any of my business unless and until you choose to make it my business. I'm not here to convince you what you should or shouldn't do. I’m not here to attempt to change what you “believe” to be true about life and yourself. What I am here to do is assist and show those who are “truly seeking”, "serious about and committed to" creating desired change for themselves the path that I know based on many years of diverse experience, produces desirable and significant results that most “perceive” as being irrational, illogical and/or impossible. And without fail…regardless of what they choose...regardless of what YOU choose...you get to be right. I can't possibly know what your individual hopes, dreams, visions and aspirations are. I can't know where you've been or what you've done to get where you are. I can't know where you desire to go. What I DO know is what's "truly available" to and for you and it's FAR MORE than most are aware of or can possibly imagine for that matter. Not because it can't be “imagined” and experienced but rather because they choose to “imagine” something less which always aligns, harmonizes with and determines the kind and quality of the experience. That's why I've committed to doing what I do and sharing what I share. I KNOW the transformational power behind it. I've already walked both paths. It’s proven to be a very fulfilling and profoundly rewarding way to DO things. You can change your life in the blink of an eye. 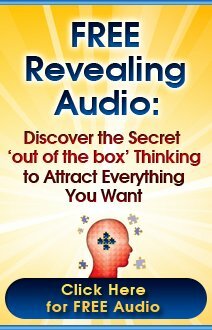 You can as I’ve discovered based on my own personal experiences crack the code and discover exactly how you can unleash and begin “consciously utilizing” the power of your mind. It’s doesn’t require anything more than you already have. And you can make “quantum leaps” in what you choose to be, do and have whenever you make the choice to do so. Anybody, and I do mean ANYBODY can do it! It’s as simple as discovering, understanding and choosing to utilize a process, a system and the tools that we were ALL freely provided. Tools, systems and processes that work over and over again...that produce long term and sustainable results for "work" that you do once. If you feel that what I know based on the paths I've walked can assist you in aligning and harmonizing with what you want...if you truly know that there is something better for you but you're not experiencing it in "tangible form"...if you have a sincere and heartfelt desire to create more for yourself, I'm open, willing and receptive to assist you, in the best way I know how in doing so. But it's YOU that must say yes and choose to "allow" me to. God, the Universe, Source Energy, Higher Power or whatever the Source of your understanding might be is saying YES right now this very second. If the YES you’re receiving is anything less than desired it’s only necessary to become conscious and aware of what you’re asking for, how you’re doing the asking and make the shift from where you are to where you want to be. The Source has already created “the immutable, unwavering and never ending flow” that will deliver it to you. It’s only necessary to align and harmonize your chosen way of Being and DOING with it in such a way that you receive a “flow” of what you desire. I invite and encourage you to take the first step and learn more about the tools and systems that I personally use to assist others in getting what they desire which in turn provides me and those I love with what we desire. I can't and won't do it for you. But I can and will show you the path I've walked, the steps I took as I walked down it and the "scenery" that became Real and Tangible as a result that will both enable and empower you to see and experience for yourself just how real, true, fulfilling, rewarding and possible experiencing Real Freedom and a wholesome and stress free lifestyle is for yourself should you choose to "do" what's necessary to make it real. So, that brings us to a choice point. The next choice that's necessary for YOU to make is leave and forget all about what I've shared, make no choice at all or take the next step and DO something that you haven't done previously. Choosing to "allow" me too could make today the first day of a whole new beginning...it could enable you to discover and explore an entirely new path that provides a breathtaking panoramic view of what’s truly available to and for you and leads you toward creating and experiencing the best days of your life. It could make all the difference should you choose to "allow" it to…or not. That’s up to you. It really boils down to what you choose and are willing to do or NOT do next. The ball’s in your court. I’ve done all I can at this point. Should you “feel” it’s time for you to create desirable and significant changes in your life, I’m here ready, willing and able to assist if ever and whenever you choose to “allow” me to. I do that in a number of ways. I guess you could say that I do that in such a way that meets people where they are...WHEREVER they are. I provide abundance-and-happiness.com, this newsletter and a number of e-books ALL free of charge. The site and the information made accessible has been a labor of Love which has taken more than 6 years to compile. Due to the size of the site it can prove to be difficult to find exactly what you're looking for. 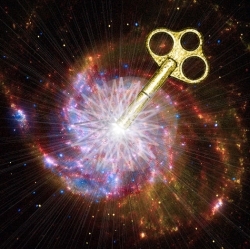 The 7 Hidden Keys To Conscious Creation consists of more than 3 decades of path walking and personal experience condensed into an 8 1/2 hour pre-recorded conference that was held and attended by people from around the globe. 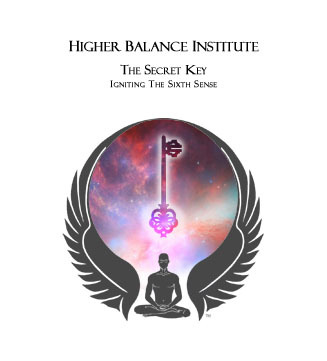 The 7 Hidden Keys is for those who are searching and seeking to understand the importance of and "truly desire" to make the "internal shifts" that create "desired tangible results." It provides a rock solid, no nonsense, very practical yet profoundly empowering foundation to build on as well as what to "do" and how to do it to experience "desirable results" long term physically, financially, relationally, emotionally and/or spiritually. It's also immediately accessible in downloadable MP3 format. Over the years I've received "countless requests" from people globally from ALL walks of life regarding the best "tangible tools" I'm aware of for enhancing the financial aspects of their lives. After months and months of searching, researching and comparing this is my answer. The simplest, most complete and best of the best tools, systems, training and products that I'm aware of that enables the complete novice or the seasoned and savvy business types to reach, contribute to and serve a global audience from the comfort of your keyboard while generating multiple streams of income for themselves is YourNetBiz. For those with a "sincere desire" to enhance the financial aspect of their lives, yet who might "perceive" themselves as non-techy and/or unable to create the "tangible" systems and processes necessary for creating greater financial abundance and/or making "Real Freedom" real for themselves, YourNetBiz provides it. They've created and assembled every required. pre-existing tangible tools, systems and processes that I and many like me have utilized to create significant tangible results. And for a select group, I combine those same tools, systems and processes with the very same transformational coaching that my private clients receive. I also offer 1 on 1 Coaching and Mentoring for those who prefer a more personalized approach as well as a proven plan to follow as they venture toward whatever it might be they desire. It's not for the "halfhearted" for sure. It's for those who are "truly serious" about creating change and are willing to get clear on WHAT they desire, WHY they desire it and once that's clear and defined be willing to chart their course and DO what's necessary to create whatever change they desire for themselves. The applicants accepted into this program are "serious and committed" to creating desired change for themselves. All of these “things” and this chosen way of doing things are designed and my way to best contribute to and assist those who are open, ready, willing and “serious” about creating significant, positive and meaningful change with everything they could possible need to do so. A choice to say yes, take action and a willingness to follow through and walk the path that I know from experience can and will assist those who choose to expand, grow and utilize what they receive to be, do and have more of “Whatsoever they desire” in EVERY aspect of life. But here's what else I know based on years of experience. Few will do that. Few ever do. That's why those who have and experience a kind and quality of life that the vast majority never will are able to experience it. They simply "DO" what's necessary and follow through until it's done. Many DO become excited initially but never take the first vital step. There are those who will become excited, take those "first steps" and start down the path for a day, two days, a week, a month but few will ever cross the finish line. They choose to "quit" prematurely. Those who "do" and those who "don't do" only do or don't for one simple reason. They either "choose to" or they don't. Winning requires choosing to win, starting down the winners path and keeping on until you achieve what you set out to achieve and cross the finish line. Winning and finishing go hand in hand. It requires a sincere desire and goes well beyond wanting, hoping, wishing and praying that “someday” you might..."one of these days" become one of those "lucky and fortunate" few. Becoming one of these "lucky and fortunate few" only requires choosing to do so and being “serious” about it. Quantum leaps do happen each and every day. Miracles are unfolding all around you. If you're not seeing and experiencing the "realness" of that currently, the only way you’ll ever tune in and discover just how “true” that is, is to do something that you haven't yet done which could enable and empower you to discover just how “real, true and transformational” that is for yourself. The only thing that will determine that is, always has been and always will be determined by you and the choices you make or don't make. So if you're ready to create significant positive change in your life…I mean really and truly ready to put fear, doubt and worry behind you, then do something different than you have been, stay the course and keep doing it until you get what you truly desire. You certainly don't have to do it with me or in the way that I choose to do things. There are an Infinite number of ways to make your hopes, dreams and desires real. My way has proven to be incredibly rewarding and fulfilling for me and many like me. It's the shortest path I'm personally aware of. It doesn't have to be my way...in fact it's vitally important that it's done YOUR way. In a way that resonates with and "feels good" to you. As I always share...DON"T believe me just because I say it's "true." Just tune in and listen to your heart so you might know for yourself. Take what I share that resonates and works for you and discard the rest. If you like the way I do things...if you feel led and compelled to utilize the tools, systems and processes I have to create a kind and quality of life that I Love, let me know how I might assist you to be, do and have whatever that might be for you. I've put a new system in place that enables you to share your wants, needs, desires, concerns etc. down below. If you "feel led" to do so, share...WHATEVER is on your mind. Regardless of what you choose...DO something...start "doing it" RIGHT NOW and KEEP DOING it, if you "truly desire" and expect to experience desirable, significant and lasting change. Will You Join As You Move Forward? Of the many thousands that this newsletter goes out to, there are two predominant types of people. One will read what I've shared and continue looking outside of themselves for the quick, cheap and easy "magic pill" that will solve all their problems. Unfortunately, as those who choose that path always find, it doesn't exist. Instead, they'll continue walking the same path until they get tired of looking at the same old scenery and make a "conscious choice" to change paths. They'll continue to struggle, settle and get by continually falling short and in some cases self sabotaging their "Heartfelt" hopes, dreams, desires and aspirations and continue on as they have, experiencing a fearful, frustrated and unfulfilled quality of life. And then there is the other group. Some will read, internalize and choose to "apply" what I've shared and finally understand and grasp the Higher Truth. They'll understand that changing your life and achieving your goals isn't about looking around "out there", leaping from one quick, cheap and easy solution to the next, it's about finding a proven method and then following its lead. Which type are you and what path will you walk down? You can, if you choose continue listening to and following the majority...you CAN continue hoping, wishing and praying for more while never actually changing or achieving anything more than you have. Or you CAN rise above that crowd, become a part of a small minority and join the ranks of the few who experience a kind and quality of life that so many hope, wish and pray for yet few ever reach. If you're sincere and "truly desire" significant and meaningful change in your life, The right choice is clear. Now is the time to act. Now is the time to discover, tap into and begin utilizing the skills that are inherent and freely provided to ALL OF US without exception. Doing so consciously and intentionally will reveal, enable, empower and show you a proven, unfailing, unerring and never wavering system that will "allow you" to create the life you desire to live. You know what lies ahead if you continue down the same path. If you decide to unlock the power of life's greatest skills...should you choose mental and emotional mastery as your way of "BEING", there's no telling how much you can be, do and have in life or how far you'll go. One thing I can say without question is that what there is for you is quite literally Infinite in nature. How much or how little you choose is up to you. It's my hope that you'll consciously choose and walk the path that leads to Real Harmony, Real Wealth, Real Fulfillment and a kind and quality of life that you "truly desire" for yourself. Be sure to leave your comments, opinions, desires, thoughts or even your experiences in the comments section below. Until next time, I wish all the best for you as move toward or away from whatever you desire for yourself. Have An Opinion, Concern, Desire, Comment or Even A Great Story You'd Like To Share Relating To This Months Edition of Enlightened Journey? Share it and "pay it forward"!